It's spring in Cape Town and the flowers are out in force after the abundant winter rains we have had. The wildflower areas are found mainly along the Atlantic coast of the Western Cape with the town of van Rhynsdorp being the centre of the flower kingdom. 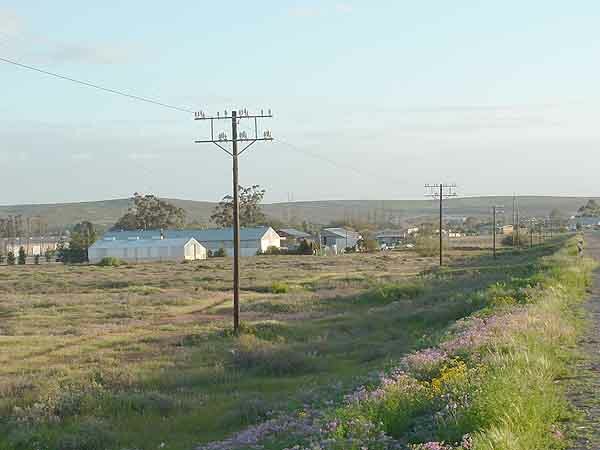 Van Rhynsdorp a country town is situated about 300 kilometres north of Cape Town along the N7 highway. The town has been built on the edge of a large flat plain known as the Knersvlakte in between the folds of the towering Matzikamma and Gifberg mountain ranges. 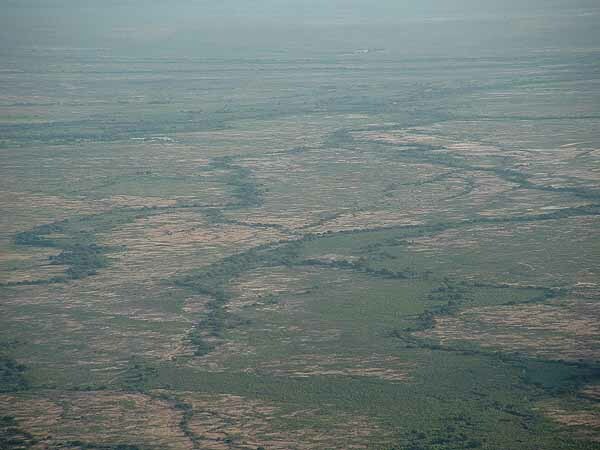 It was established way back in 1751 by cattle farmers who decided that the banks of the Trutro river was a good place to build as the river never seemed to run but crawled through the area. In 1880 the town's name was changed from Trutro to Van Rhynsdorp in honour of a local politician and clergyman named Petrus Benjamin van Rhyn. The area where the town has been established was once inhabited the nomadic Khoi-Khoi people who hunted on the plains and lived in caves in the nearby mountains. Here they spent their time painting the rock faces of their caves with tannins and dyes they made into paints. Their rich heritage is still in evidence today. The area was first discovered and explored by the Dutch settlers way back in the early 1660's. From that time it took them eighty years before they started settling in the area and another one hundred and forty seven years before the town of van Rhynsdorp was eventually laid out. On arrival in the area the Dutch could not have believed their eyes as before them was a flat top mountain exactly the same height as Table Mountain with similar rock formations and covered in Cape Fynbos. Even the climate of the area was the same as Cape Town. 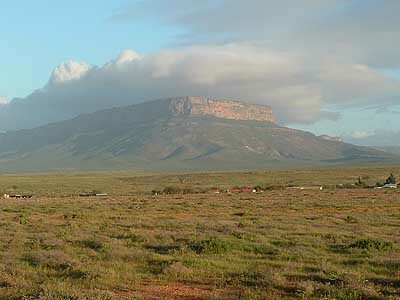 Van Rhynsdorp is situated in an arid and dry area where three distinct botanical kingdoms meet. To the north of the town is the Knersvlakte, a vast plain covered with succulents and quartz pebbles. The other two are the Nama Karoo and the Cape fynbos which one can find in the mountains around the town. It is these three kingdoms with their botanical diversity that attract thousands of visitors to the area from August through to November each year to see the kaleidoscope of colours produced by the wild flowers of the region when they bloom. For as far as the eye can see there are fields of flowers covering the whole spectrum of colours in the rainbow. A sight that must be seen to be believed. Van Rhynsdorp is the gateway to Boesmanland and Namaqualand with places like Klawer, Vredendal, Lutzville and Strandfontein being within easy reach. Klawer to the south has established itself as the centre of a thriving organic wine industry while the Olifants river valley has become the centre of the citrus industry in the Western Cape. Other than the spring flowers there is a lot going for the small town of Van Rhynsdorp. It is one of the few places in South Africa where one can look up and see the stars without the light pollution one would find elsewhere in the country. The Maskam mountain at a height of 1086 metres offers breathtakingly beautiful views out over the Nama Karo. It has many waterfalls, clear river pools and beautiful rock formations with over forty rock painting sites. At the top of the Gifberg there is a 2 day hiking trail to to the Ouberg Waterfalls. The trail starts at Daves farm at the top of the pass up the Gifberg. During the wild flower season hiking through the Knersvlakte is an experience you won't forget soon. It is covered in many places with small glistening quartz stones and is reputed to be named after the crunching sound made by old wagons with iron wheels as they travelled over the quartz pebbles. The vegetation in the veld consists of very low shrubs and plants. Van Rhynsdorp has established the largest South African succulent nursery in the world and has over 500 species of indigenous succulents of which about 50 are endemic to the area. It was founded to preserve the unique Knersvlakte succulents, many of which look like the pebbles in the veld where they grow. For lovers of Rooibos tea, Van Rhynsdorp is the place where it was first discovered way back in 1771. When the early pioneers moved into the area they discovered that the rooibos tea plant which grows naturally in the area was used by the local Khoi Khoi people to brew a savoury herbal tea. The pioneers soon started brewing their own and today two and a half centuries later this lowly tea is exported to all parts of the world. Van Rhynsdorp is not your typical holiday destination, but if you are an out door type with the love of wild open spaces and beautiful flowers it is a place not to be missed. Why not visit it now while the flowers are still in bloom.